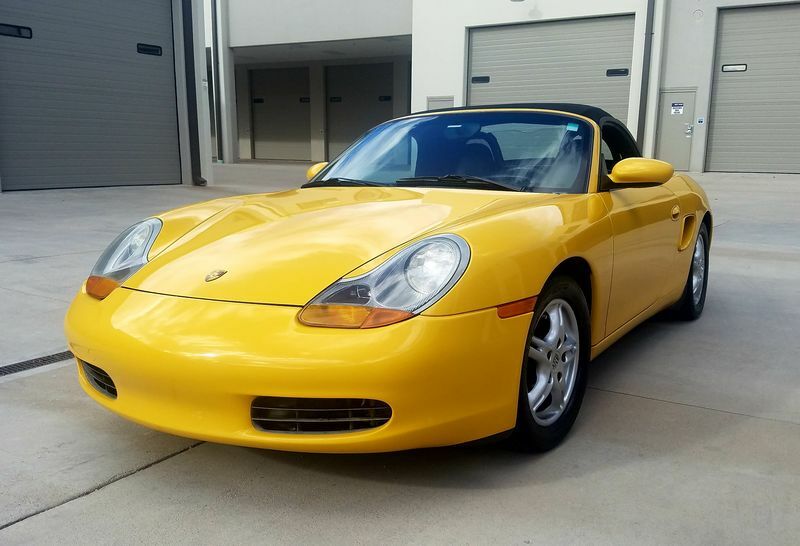 I purchased my 2003 Boxster back in November 2016 off a auto auction. The car was stripped of its taillights,door panels,handles,a bunch of other parts and was slightly rear ended to indent the rear bumper. 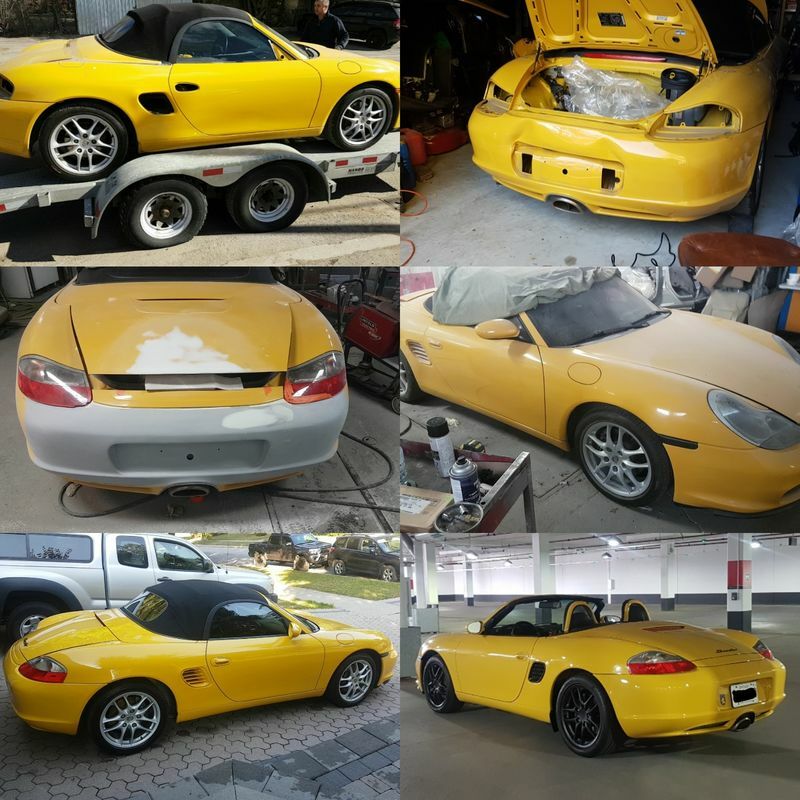 The car was in a friends shop where i was working on it up until August of 2017. Me and my friend brought the car back to amazing condition. I took the car for a full look over at a Porsche specialist. The ims bearing was replaced and the clutch was done at the same time, other than that the car was mechanically sound. Theres alot coming for this car stay tuned! Did you fill in the holes where the bumperettes go? Looks great. Welcome. I recently picked up your twin.....a 2000 2.7. The black rims look better than the silver against the yellow IMHO. Was that a rattle can DYI job or did you have them powdercoated? The rims were sprayed with plasti dip as a temporary solution. Im getting new rims in the summer and will just peel off the plasti dip of the oem wheels.